The oil is taken from the flower part of the plant through solvent extraction method. The process includes solvent vaporization that gives rise to quasi-solid product called concrete. This contains fragrance compounds like oxygenated terpenes, hydrocarbon terpenes, sesquiterpenes, and oxygenated sesquiterpenes as well as other flavoring compounds and can also contain fatty acids, methyl esters, diterpenes on the other. This extraction product undergoes further processing for separating fragrance compounds from these undesired co extractives. Jasmine oil contains all fragrance compounds including phytol, fatty acid, benzyl acetate, benzyl benzoate, linalool, methyl ester and paraffin. The aroma of the extracted oil is distinctively rich, warm and floral with a sweetly exotic touch. The fragrance sedates nervous system and is good for curing insomnia, headaches and cases of depression. It also helps in easing issues related to muscle cramping that include menstrual cramps (used as massage oil/lotion). Further, the oil is also used in cosmetics industry as its luscious fragrance is known to stimulate and intoxicate senses. The oil has in it the properties of an antidepressant, analgesic (mild), anti-inflammatory, aphrodisiac, antiseptic, antispasmodic, carminative, sedative, tonic (uterine) and expectorant. The oil is used for curing nervous exhaustion, depression and stress related conditions. 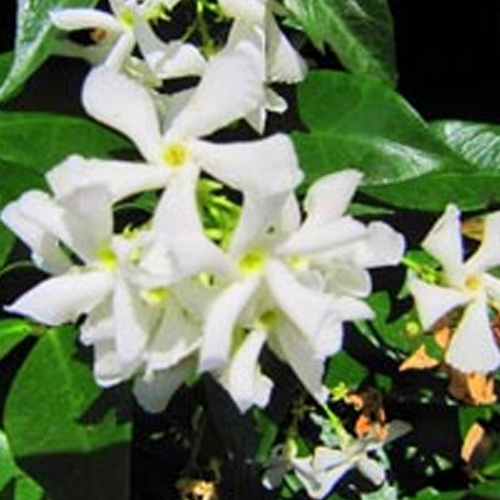 Further, Jasmine extracts also produce feeling of confidence and euphoria. Its medicinal uses include in coughs, dysmenorrhoea, laryngitis, labor pain, skin problem like dry/greasy, irritated/sensitive skin, uterine disorders and in cases of muscular spasms and sprains. Jasmine oils are believed to encourage cell growth and also increase skin elasticity. In therapeutic uses, it is used for its antidepressant, anti-spasmodic, stimulant, antiseptic and aphrodisiac properties. The oil also helps in muscle spasms and sprains and can be very useful in strengthening uterine contradiction and relieving pain. It blends well with Cinnamon, Chamomile, Ylang-ylang, Rose, Geranium, Vanilla, Sandalwood and most other essential oils. Jasmine comes from a genus of shrubs and is a native to tropical and warm temperature regions. With the oil solvent extracted to save its aromatic properties, Jasmine hair oil extract is excellent for purposes like massaging and as face wash. Besides, it is also used in host of therapeutic uses. Some of the other preparations where these extracted oils are used in include Liniments, Washes, Creams, Infusions and Teas. As King of Flowers the masculine floral aroma of Jasmine makes it work with almost all oils in uses like rounding out scents. Women who are breast feeding should also avoid its use as it may cause lower blood pressure. Jasmine Hair Oil is made available by us in different packaging options.